Ubiqus is a language service provider dedicated to providing accurate reliable solutions in the realm of translation, interpretation and transcription. We are experts in ensuring individuals and organisations understand the proceedings of meetings, hearings, conferences, seminars and more. Ubiqus is the 4th largest professional language service provider in Western Europe. Ubiqus UK operates as a subsidiary of the larger entity Ubiqus Group. As a multinational organisation with offices across the globe, we focus on delivering quality, reliable and responsive language services. 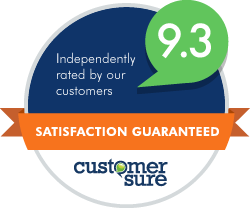 Customer Sure are an independent third party who work with Ubiqus UK as a whole to evaluate our client satisfaction. Consequently Ubiqus sends out monthly satisfaction survey to recent clients. Indeed, it is important to ensure that we respond to client feedback and suggestions to maintain reliable, high quality and responsive services. 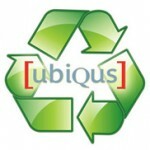 Ubiqus is committed to reducing it’s environmental impact as well as spreading good practice. Selected by Bosch and the global Congress Rental Network (CRN), as the sole representative of the CRN in the UK. A member of the Association of Translation Companies (ATC), one of the oldest professional groups representing the interests of translation companies in the world.